Mr. Paduchik is married to Judith Ann Tkach for 53 years. They have three children, son Robert and wife Amanda and daughters Elena and Larrissa. Daughter Barbara and husband Forrest Yerian and sons Nicholas, John and daughter Jillian; and son Jason and wife Michele and son Andrew and daughter Samantha. Mr. Paduchik is a graduate of Youngstown University with a B.S. Degree in Business Administration, majoring in Accounting. Active in volunteer organizations throughout his life, he is a Past President and current member of the Tallmadge Lions Club; a member of St. Nicholas RBO Lodge 204 since 1982 and the Lodge’s secretary since 1988. 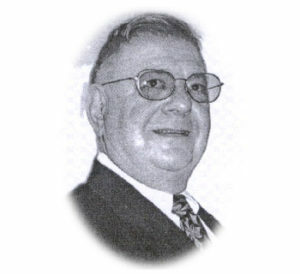 He was President of the Tallmadge Little League from 1978-19 8 2; Treasurer of St. Nicholas Church, 1968-1972; and President of the Tallmadge Jaycees, 1972-1973.